Corporate Social Responsibility: Teacher Fired For Pictures On Facebook. Ashley Payne was with her friends during the holidays when someone took a picture of her holding a glass of wine in one hand and a beer in the other. This picture was posted to social media under her personal Facebook account. It was the one anonymous email showing this image to the school board after seeing the picture on a social networking site. The principals response was calling Mrs. Payne her into his office at the high school and asking her if she had a Facebook page. When she responded yes he asked if she had any pictures of herself holding alcohol, the answer again was yes. It was then Mrs. Payne was offered two options to resign from a post or to be suspended. Mrs. Payne admits to putting the pictures on Facebook. She feels that since her page was fully protected, one of her closest friends would be the only ones who had permission to see her pictures. She compared the situation to having pictures at home in a shoebox, only to have them stolen then shown to the principal. Ashley refuses to take the situation lying down, though court documents show that officials have warned teachers about unacceptable online activities. The school board is now using this in defense of their actions, claiming that her page promoted alcohol use and contains profanity. Mrs. Payne is currently in a bitter legal battle with the school. She now wants to clear her name and get her job back. Her statement is “I just want to be back in the classroom, If not that classroom, a classroom. I want to get back to doing what I went to school for, my passion in life. I chose this case to begin with because I personally find it particularly disturbing. With my sister recently beginning her career as a teacher it is easy for me to relate to Ashley Payne, and imagine the situation from her perspective. I disagree with the school board for multiple different reasons. Firstly, we live in a digital world. Majority of the day-to-day happenings of life are shared on the internet with friends and family. A constant sharing of experiences and keeping in touch with those most important to us. Ashley Payne was a part of this with her Facebook page, and was aware that those pictures posted of her were to be shared with friends and family so they could enjoy witnessing her trip through Europe. That being said, Ashley Payne has stated that all of her security settings were on the highest possible setting to prevent anyone except friends and family to see her photos. Though, as we are all aware, this did not keep them from being found. Somehow, one anonymous parent did enough digging on the internet to find these pictures and bring them to the principals’ attention. What drove this parent to do so is unknown, though it is safe to say they did not have Mrs. Payne’s best interests at heart. Due to the anonymity of the individual who reported the photo it is un-clear of the effectiveness of Mrs. Payne’s' security settings. This individual could in fact be one of her Facebook friends who wanted to embarrass her or stain her reputation, or a parent with the same motive. Secondly, the school board maintains that they were protecting the students from promoting alcohol and profanity. However I believe it is safe to say that the students would never have come in contact with the photo of Mrs. Payne holding alcohol, if the school had not brought it to their attention. Thirdly, I completely disagree with the way the school board handled the situation. They dismissed Ashley Payne before she had the opportunity to defend herself, or even see the photos in question. 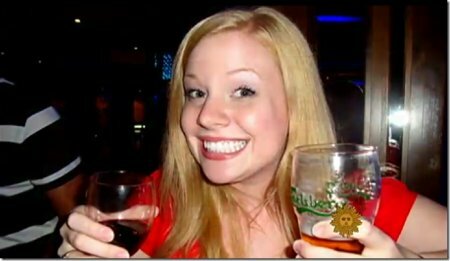 She was treated as though she conducted some awful crime or drug abuse when in fact the issue was her having an alcoholic beverage in her hand while on vacation. My personal irritation comes from the fact that the school board was so quickly willing to destroy the career of a 24 year old teacher for the sake of an anonymous disgruntled parent, who seemingly does not feel strongly about wanting the dismissal due to the fact they have remained anonymous and haven’t spoken publicly about the issue. to share her story and gain public interest. Luckily for Ashley the media has picked up her story and she has been able to go on news stations to try to get some public backlash to help defend herself. I wish her the best of luck because I unfortunately believe that she is being made an example of for young adults who are entering the workforce. This example is to maintain the image of your employer, including the time spent on social media sites that are meant for personal use and sharing life with friends and family. These sites are being abused by employers to take privacy away from employees, turning personal time into un-paid work time, and it should not be allowed to continue.